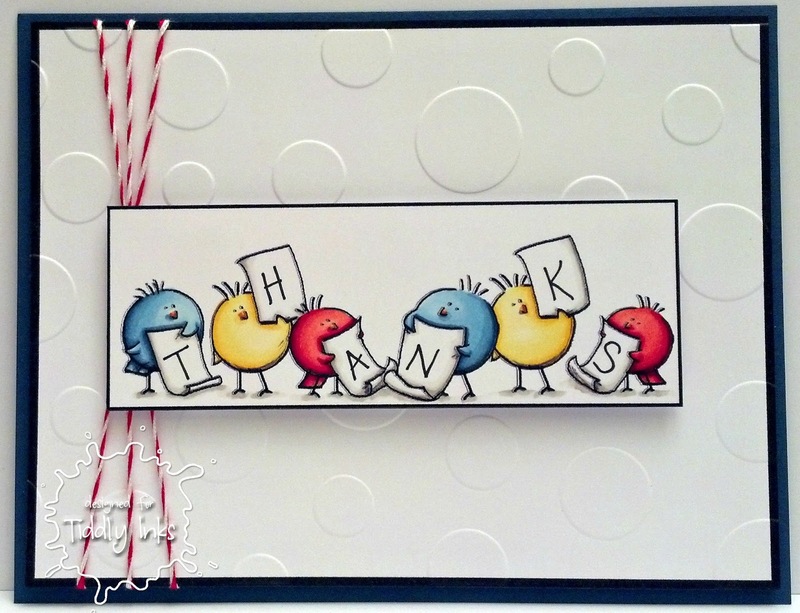 Kards by Katie Kreations: Thanks! Hiya crafty peeps! 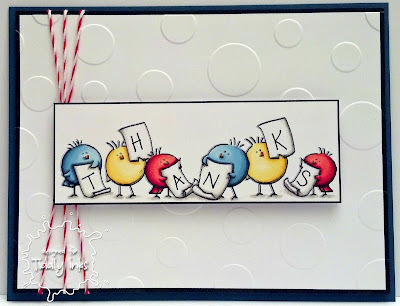 I hope that everyone had a fabulous long weekend if you're here in the states :) Today marks another new challenge over at Tiddly Inks and it's a super easy one this time- Saying Thank You. We all know how essential thank you cards are so I'm happy to make some for stand by when I have time. I wanted to try something a little different this time around and do pretty much a white on white (I cheated and made the card base dark blue but creative license right? )...the white seemed pretty stark so I added some dimension by embossing it. I hope that you'll join us and play along- it's super easy just use a TI image :) And thanks for stopping by to visit me! There is something about those birds that make me laugh! Too darn cute! Love it!! Also love the embossed background! !